The Provençal hilltop village of Mirmande, with its maze of narrow streets, is classed as one of the loveliest in France - a 'must see' destination in the Drôme. Many walking/hiking tracks in the forest. Gîtes located below this lovely village in peaceful, charming spot, edged with orchards, tall trees and kept cool by the river Teyssonne. Owners have a fruit tree farm and you can sample different varieties of cherry, apricot and nectarine. They also produce jam and fruit juice. At crossroads of Drôme and Provence, with lots to see for those interested in culture and nature: Tour de Crest, aviation museum, Saou forest (20 min. ), château at Grignan (35 min), the Vercors (35 min. ), crocodile farm (40 min.) Chauvet cave (1 hr). Welcome to Les Fruitiers Bis du Matignier, a gîte of 160 sq.m. Ground floor: large open-plan living room (lounge, dining room, kitchen) opening onto large terrace with fine view of orchards & the Mont Giers, utility room, WC. 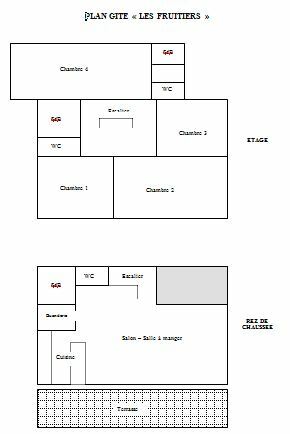 1st floor: 4 bedrooms (160x200cm bed, single bed) (four 90x200cm beds, en-suite shower room, WC) (two 90x200cm beds) (three 90x200cm beds), bathroom, WC. 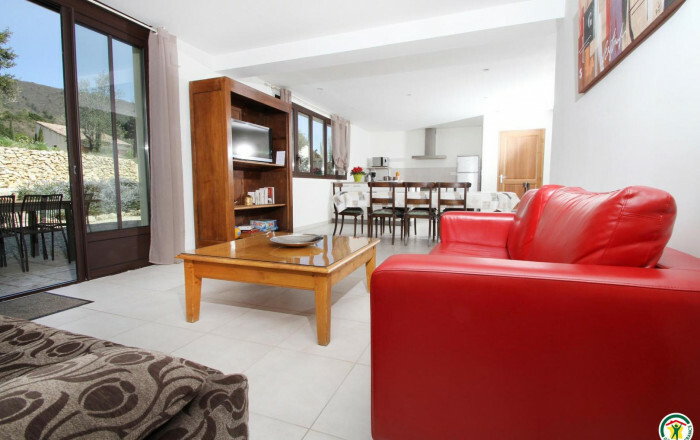 Swimming pool (10x5m) only open to occupants of gîtes (nearby). Table tennis table, climbing frame for children (swings, rope, trapeze). Parking.